Trust Middle Class Movers to transport your belongings with the utmost care. Our skilled and trained movers will make your move pleasant and free of hassle. Before your scheduled moving appointment, one of our coordinators will help you plan your move from days to months in advance. Your coordinator will assist with everything from special packaging to answering all your questions. We want to ensure we earn your trust before we move your belongings. 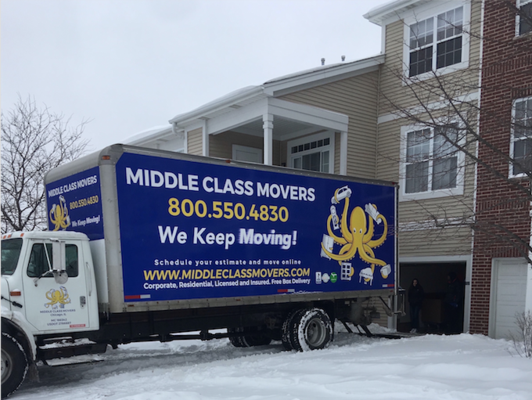 Middle Class Movers provides moving services 6 days a week, including Sundays. Our professional movers have the training and skills to give you a smooth move, whether you need to move a piano or an entire home. We are equipped to handle a full move including packing and stretch-wrapping. We offer competitive rates and flexible payment options to make moving easy and stress-free. Our reliable team always handles your items safely and securely. We are fully licensed and insured. We are accredited with an A + rating with the Better Business Bureau, we are in association with Angie's List and Home Advisor. So you can trust us for quality and professional service.